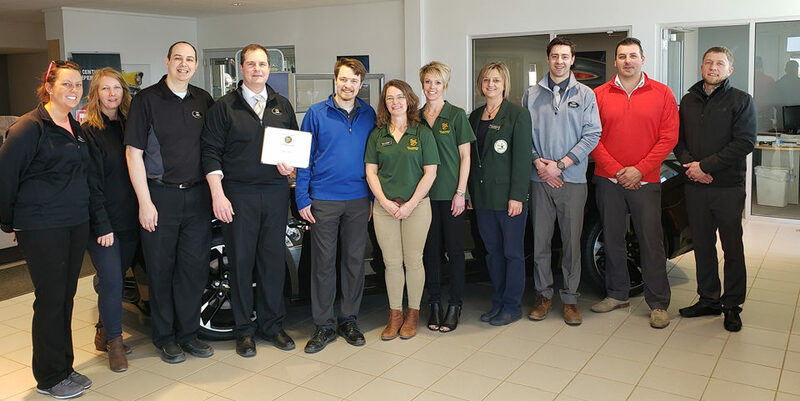 Gutes Essen Deli & Catering recently became members of the New Ulm Area Chamber of Commerce and the Willkommen Committee stopped by to welcome them! Gutes Essen is located inside Oak Hills Living Center. Part of the business is making meals for all of the residents at Oak Hills, but the deli is also open to the public and serves affordable lunches M-F from 10:30am-1pm. Becoming more and more a large part of the business is outside catering. Dietician Jessica Weisbrich and Kitchen Manager Peggy Kelly said they have been extremely busy over the past couple of months catering holiday parties, and they already have several weddings scheduled for next summer. The kitchen will be seeing some remodeling changes and updates soon to keep up with the growing business demands. During the winter months, Gutes Essen also offer pre-assembled freezer meals that feed 4-6 for $10/meal. Contact them at 233-0814. 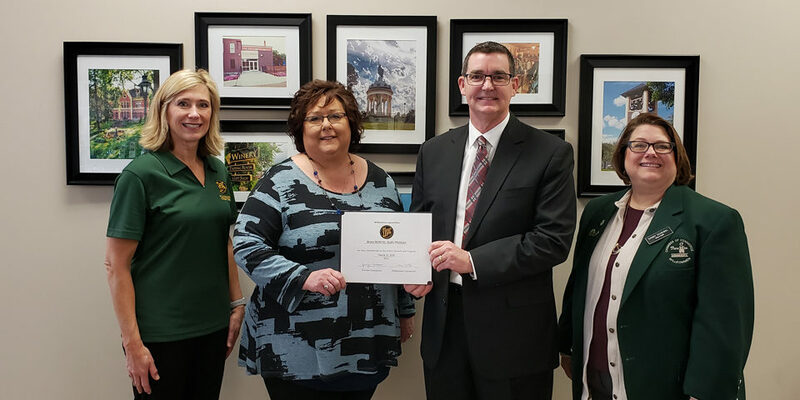 In the photo are: Jenny Eckstein, VP Chamber of Commerce; Amy Pearson, Thrivent Financial; Jessica Weisbrich and Peggy Kelly, Gutes Essen; Lynn Fink, Citizens Bank.